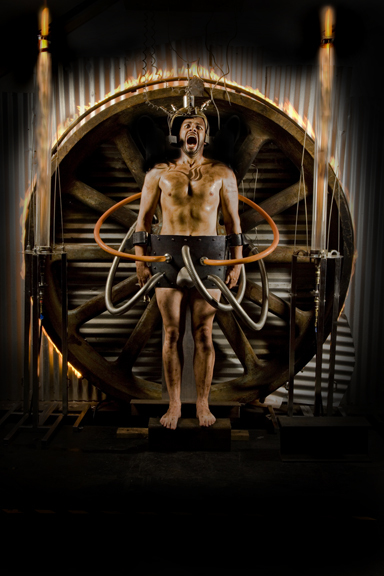 This January, The Crucible in Oakland, California, will celebrate its 13th anniversary with a World Premiere Fire Opera, "MACHINE." The production was conceived and directed by the brilliant and innovate director Mark Streshinsky and features music by Clark Suprynowicz. The performance will be conducted by Barnaby Palmer and sung by barihunk regular Eugene Brancoveanu. The Romanian baritone will be shirtless and from the looks of things, giving Nathan Gunn, Teddy Tahu Rhodes, Erwin Schrott, Christoper Maltmann and other bare-chested barihunks a run for their money. Based on a short story by science fiction author Derek J. Goodman, MACHINE is set in a fiery industrial universe in which workers have sold themselves into a lifetime of servitude. When one worker regains his power of self-determination, the story ignites into an explosive brew of escape plots, alliances, and unlikely love interests. This spectacular performance features two opera singers, a rock singer and percussionists that “play” the scaffolding-like set. Visual effects including a molten metal pour, fire performers and industrial artists such as glass blowers and blacksmiths. 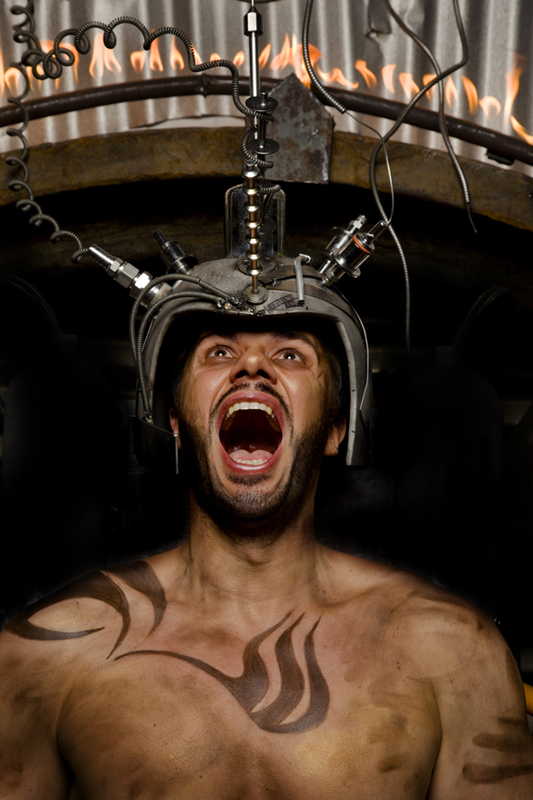 MACHINE will deliver the kind of awe-inspiring performance that Crucible audiences have come to expect. MACHINE runs January 11-14 and 18-21, 2012 with tickets ranging $45-$65 and $150 for the Closing Night Gala on January 21. You can find more information and purchase tickets online at www.thecrucible.org.